With a vacuum of leadership from the White House, the climate-conscious Pacific Northwest should act locally and look hard at the small sliver of power from coal. PRESIDENT Trump’s retreat from the Paris global climate-change agreement is an abdication of leadership for the world and future generations of Americans. The Paris agreement was not binding, but it did bind the world’s biggest emitters together — morally and philosophically — against the shared threat of a changing climate. The Defense Department understood, as recently as 2015, that threat is likely to bring geopolitical instability — drought, flooding and collapsing food chains in the sea, touching off refugee migrations, famine and conflicts over diminishing resources. Instead of looking forward, Trump looked back, reducing the Paris agreement to a zero-sum economic analysis based on American coal country. Nevermind that the real opportunity to create long-term jobs is in new, sustainable energy sources. Climate change is best addressed with international and national policies, but the vacuum of climate change leadership in the White House puts the onus on a federalist approach. Gov. Jay Inslee and mayors of Seattle, Tacoma, Bellingham, Olympia and Redmond joined with more than 1,000 governors, mayors and industry leaders pledging to uphold the Paris agreement nonetheless. Addressing climate change in Washington means addressing emissions from transportation, the largest source of greenhouse gases. But there is also work to do in the energy sector. Although Washington is blessed with abundant, clean hydropower, about 10 percent of the state’s energy use comes from coal and natural gas. Coal in particular deserves a hard look. Over the past four years, carbon emissions from the only in-state coal-fired plant, Centralia’s TransAlta, exceeded the emissions from the state’s five oil refineries — combined. TransAlta is scheduled to put its two plants offline in 2020 and 2024. By 2025, the only significant coal-generating facilities in the Northwest will be two power plants in Colstrip, Montana. 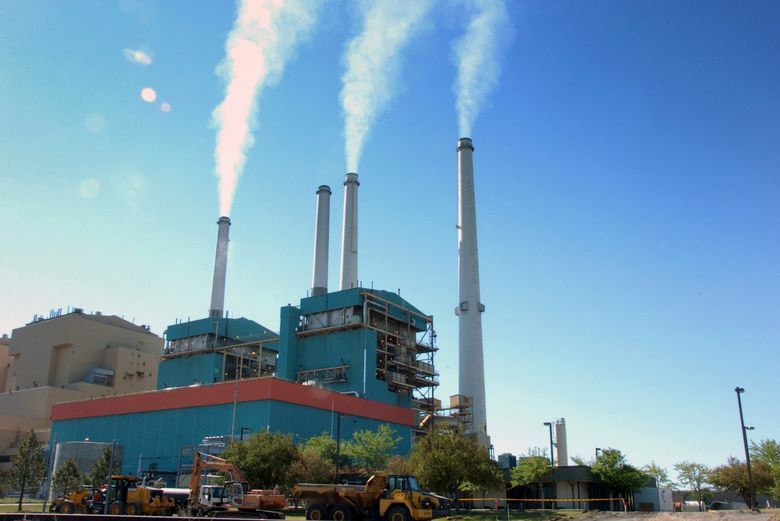 Puget Sound Energy owns 25 percent of Colstrip Units 3 and 4, drawing dirty power into the Puget Sound region that is about 30 percent cheaper than cleaner sources. The utility has no intention of letting go, and is preparing to renew a coal supply agreement that expires in 2019 with a new 10-year agreement, said Ronald Roberts, PSE’s director of thermal resources. That’s a mistake — a decision that PSE’s shareholders and customers should pressure the utility to reverse. So, too, should the state Legislature, which has considered banning so-called coal by wire power imports but has not yet acted. Trump’s retreat from the Paris agreement should be a clarifying moment for the climate-conscious, forward-thinking citizens of the Pacific Northwest. There is no hope for now of federal action on the human-caused threat of climate change. We’ve got to address it locally. Ending reliance on coal is a perfect place to focus.